Dissolved organic carbon (DOC) has long been recognized to be a critical water quality characteristic in forested catchments, as it is a major component of the carbon balance and energy cycle in aquatic ecosystems, and is highly relevant to a diversity of environmental problems. Challenges remain in quantifying fluxes of DOC in surface waters, and understanding its composition and reactivity. Here, we review the use of simple spectral methods to quantify DOC concentration and composition in surface waters. 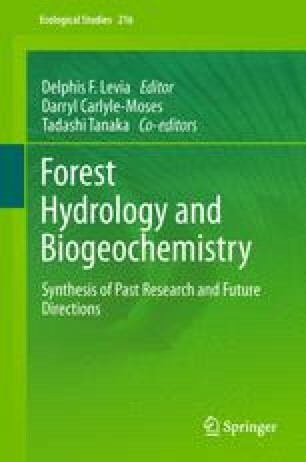 We discuss use of absorbance spectroscopy, which has been widely used as a surrogate for DOC concentration and as an indicator of changing DOC composition in waters of forested catchments; and the use of fluorescence spectroscopy, where spectral analyses of three-dimensional excitation-emission matrices are used to characterize sources of DOC. Finally, we discuss future needs in fluorescence biogeochemistry.